China has been dubbed the “kingdom of fans” for many years. Fans were not always tools for cooling oneself, but also were symbols of status and taste. One main reason is that fans sometimes were decorated with paintings, poems or calligraphy. There were many kinds of fans in ancient China, though only two types with paintings, the round fan, popular in the Han Dynasty (206 BC-AD 220) and the folding fan, prevalent in the Song Dynasty (960-1279), have grown to be truly appreciated by art collectors. Those that held a famous artist’s painting or calligraphy were highly prized possessions. An artist from the Ming Dynasty (1368-1644) named Zhu Yunming once compared the difficulty of painting on the surface of a fan to a girl dancing on debris, because of the fan surface’s limited space, special shape and different textures, such as colored paper, thin silk and so forth. Now let’s take a closer look at some of the prettiest Chinese fan paintings and feel a cool breeze in the scorching summer. Fan painting by Yao Yuehua,Flowers in the Vase, Song Dynasty (960-1279). The birth of the round fan was much earlier than those of the folding variety. Its shape, like a full moon, signifies the auspicious union and happiness. Fan painting by Su Hanchen,The Maid, Song Dynasty(960-1279). Fan painting by Zhao Yong,Clear River and the Wintry Moon, Yuan Dynasty (1271-1368). Fan painting by Li Anzhong,Butterflies in the Spring, Song Dynasty(960-1279). Fan painting by Ma Lin,Hold a Candle for a Night Excursion, Song Dynasty(960-1279). Fan painting by Zhao Chang,Apricot Flowers, Song Dynasty(960-1279). Although there are various themes and colour combinations in which you can decorate your home but the Asian theme is very unique and stylish. It has all the elements that would make your home look truly amazing and worth watching. Make sure you select the best quality materials and textures for decorating your home with the help of this exceptional theme. Asian inspired themes can really work wonders for your home if you use them in the most appropriate manner. People often find it very difficult to select a particular room in which the Asian theme can be applied. 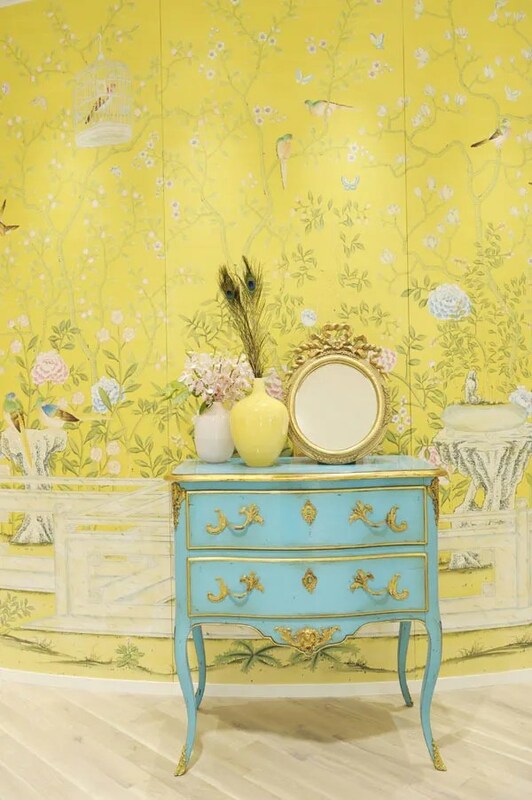 If you are also having the same problem then you can use the bathroom as a separate room for applying the theme. This room is used by the people to relax themselves to the fullest. For this cause, it makes ideal sense that some of the more calm and calming plan accents of an Asian decoration would be suitable. In the Asian theme the art works and paintings have a special meaning therefore you must consider installing them. You can also make the use of the wonderful water features that are truly ravishing to look at. In the Asian theme a lot of space is required, therefore you must make sure that all the rooms of your home are cleaned and thoroughly maintained top incorporate the theme. The Asian theme would make each and every room of your home look extremely beautiful and mesmerizing whether it is the bathroom area or the kitchen. You can use materials to make a very passionate ambience, rice paper window coverings to shield those inside from snooping eyes, and candles all through the room to end off the creation. Furniture in this room should be thin and neat and Asian screens can be used in order to conceal the piles of laundry or mixed-up areas that you wish not to be detract from the overall passion of the room. Fans make a beautiful adornment for the walls in a bedroom as does mesmerizing art or framed script in the words of passion and care. Instead of using the harsh and direct lights, you can make the use of indirect lights that look extremely marvellous on the walls. 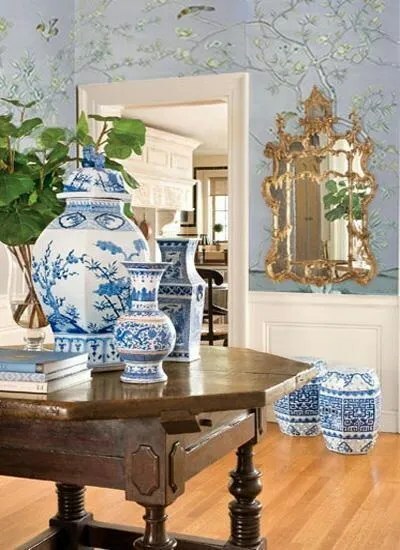 You will see that using the Asian theme for decorating your interiors is one of the best that you will find in various magazines and over the internet. Make sure that you purchase each and every accessory according to this theme to make your place look truly beautiful. I am sure the theme would really help you in decorating your home in the most wonderful and sophisticated manner that you always desired. With a vast land area and various ethnic groups, China has many different geographical and weather conditions along with a wide variety of life styles. Therefore it is of no surprise that residence designs change from province to province. Among the different styles, there are some that are representative of special places depending on geographical conditions or even ethnic groups. In this collection, you can have a glimpse of the most stunning folk residences in China. Cave dwellings are found all over Northern China including Shanxi, Gansu, Shaanxi and Henan provinces along the Loess Plateau. Having selected a good place, local people would dig a large pit and dig caves at the four sides, a tunnel leading to the ground at one side and a well in the center of the pit and build low walls at the four sides. The courtyard cave dwelling is warm in winter, cool in summer along with being both rain and fireproof. The pits of different families sit close to each other. Boat-shaped homes, also called “boat-shaped thatched cottages” are the traditional residential dwellings of the Li people in Hainan province. Although the decoration and modification of the houses may be different, their general shape is that of an inverted boat. With fences woven with coconut, bamboo and mango leaves and roofs made of thatches, coconut and sunflower leaves, the crude materials needed for the boat-shaped houses were readily available. The houses provide shelter from rain and wind, and protect its inhabitants from wild animals. The structure and shape of the houses can withstand the powerful sun, typhoons and storms. The Mongolian Yurt, called “a vaulted tent” or “felt tent” in ancient times, is a domed pealed tent. The frame of the yurt is a supporting ring, formed by some wooden poles. The yurt’s frame is covered with thick felt fastened from outside with ropes. Every yurt has an opening on the top, which provides both light and ventilation, and a wooden door facing south or southeast. The convenient design suits the mobility of the Mongolian people who live on grazing. As more and more Mongolians settle down, yurts are decreasing in number. A watchtower, or “Diaolou” built by the Qiang people in Sichuan province. Between 10 and 30 meters high, the watchtowers were normally built beside lower houses. 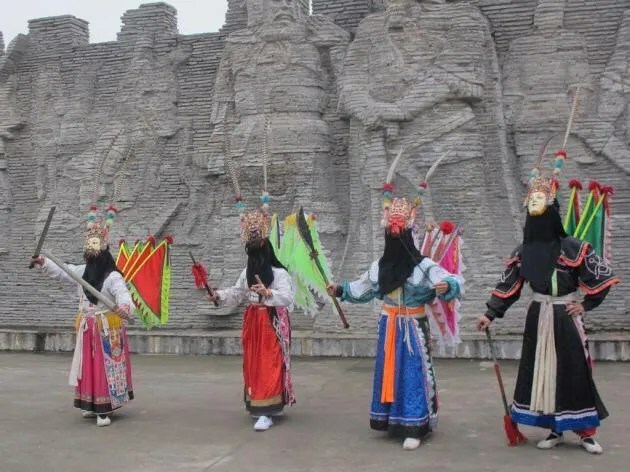 The Qiang ancestors built them to store grain and offer shelter during wars. While in Kaiping city of Guangdong province, about 1,800 castle-like towers dot the landscape. Some of the towers date to the Ming dynasty. Others were constructed in the early 20th century and bear obvious Western influences. They received a UNESCO World Heritage Site listing in 2007. Diaojiaolou, or stilted houses, are special residences for Tujia, Miao, Buyi and Dong ethnic groups in Hunan, Guizhou, Guangxi and other regions. Sitting high above ground, the design is meant to avoid insects and animals. Tuzhangfang, or earthen homes of the Yi ethnic group, look like Tibetan stone-houses but their walls are made of earth beaten hard while under construction. Its flat roof is also used for drying items. Most of these houses are found in central and southeast Yunnan. The house in the photo consists of three to five rooms. The central room has a fire-pit and is the gathering spot both for family members and guests. The bamboo building of the Dai ethnic group is the stilt style building that takes bamboo as the main construction material. The buildings of this kind are mainly distributed in Yunnan province. The stilt style building is conducive for avoiding insects, snakes and beasts; they are also damp-proof and well ventilated. Besides, the empty room below can be used as a store house or for poultry homes. Zhouzhuang near Suzhou in Jiangsu province is one of the few places where one can experience the life of a typical Chinese water town. The traditional residences in the town, mostly built in the Ming and Qing dynasties (1644-1911), flank the winding waterways. Many of them are well-kept and have preserved their original appearances, with white walls and black-tiled roofs. The Oriental architectural concept is the inspiration that comes from the Far East countries of Asia, especially China and Japan. The Oriental interior design is the combination of simplicity, nature, and the energy to produce the atmosphere of peace and quiet. For a more focused discussion, we’ll review the Chinese house concept as the main subject. The Chinese interior color applications tend to use colors like red, brown, gold, and black. In terms of colors, red is the most popular color for the Chinese. Because it is said that red is the color that symbolizes success and prosperity. Integrate red on the walls of the room. You can improve the wall coloring design by combining the red with white or blue in some particular walls, but red is still the dominant color. For the other color, you can integrate it as the decorative element such as the sofa and furniture with the black, the flooring applies brown, while gold is the color of Chinese interior brass accessories. 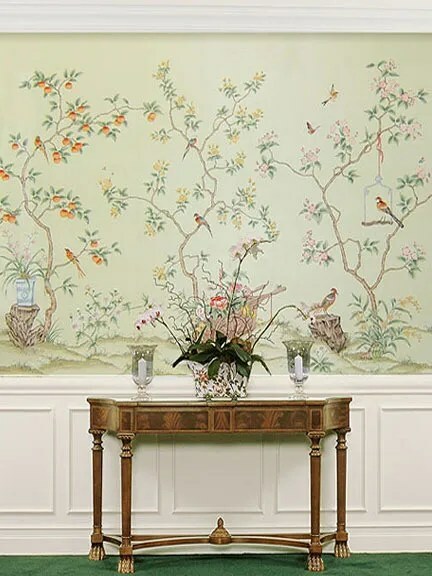 The Chinese interior concept can be identified by the integration of the detailed handcrafts represented by animals such as fish, dragons, birds, or other figures of the Chinese mythology. This interior decorative element is very important to create the Chinese culture inside your house. China is identical with Feng Shui, therefore it is wise if the interior design of your home is a bit referred to Feng Shui. Thus, the selection of colors, objects, furniture, and other elements will be done very carefully in order to bring “benefit” to the occupants of the house. For those of you who would like to have the distinctiveness inside your house, the Chinese house concept offers something different and exotic compared to the other traditional home cultural design. The richness of the Chinese decorations meets the elegance of the Feng Shui design will bring the “other” design for your home. A colored parrot perched on the twigs of a blossoming apricot, which has fine and slender lines and enriched colors. It is one of the best masterpieces of Emperor Huizong of Song Dynasty. It was originally preserved in the Old Summer Palace (Yuanmingyuan), which was ransacked by French and British soldiers during the Opium War in 1860. Now it is in the collection of the Museum of Fine Arts in Boston, USA. Thirteen Emperors Scroll was created by the famous painter Yan Liben during Emperor Taizong’s reign. Its artistic achievement represents the highest level of figure painting in the early Tang Dynasty and has an important status in the history of ancient painting. Yan Liben depicted those emperors’ characteristics veritably by using bold and thick lines. The painting changed hands many times and was finally sold to the Museum of Fine Arts, Boston (MFA) in 1931. Han Gan was a leading horse painter of the Tang Dynasty. This painting is a portrait of Zhao Ye Bai, a favorite imperial horse of the Emperor Xuanzong. The horse in the painting is tied to a stake and tries hard to get away from it. The horse’s unruly disposition, its masculine and strong shape were delicately depicted in Han’s ink shading. The painting was originally conserved in the Forbidden City. The painting changed hands many times and now is preserved in the Metropolitan Museum of Art. Forty Landscapes in the Old Summer Palace was drawn by two royal painters, Shen Yuan and Tang Dai, during the reign of the Emperor Qianlong in the Qing Dynasty. This painting was stolen in 1860 and now is exhibited in the French National Library. 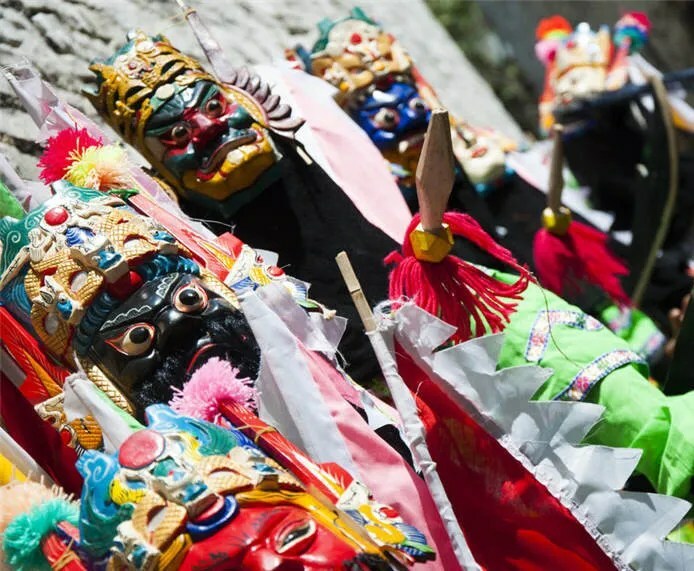 Statistics from the Chinese Culture Relics Society show that more than 10 million Chinese cultural relics have been lost overseas due to wartime robbery or iniquitous trade since 1840. According to the UNESCO (United Nations Educational, Scientific, and Cultural Organization), about 1.67 million Chinese relics are housed in more than 200 museums in 47 countries. On the occasion of Chinese Cultural Heritage Day, let’s have look at some of the most famous Chinese relics housed abroad. The Cloisonné jar is housed in the British Museum. The Chinese perfected the cloisonné enamel technique during the 15th century. By the time this jar was made, it was considered appropriate for imperial use, and many superb pieces were made for palaces and temples. Some of the vessel forms were borrowed from ancient Chinese bronze work. Other shapes, and some of the motifs, resemble contemporary porcelains. This large cloisonné enamel jar has a dome cover. The body is decorated with a vigorous five-clawed dragon with open mouth, pursuing a pearl among clouds. The lid is also decorated with a similar dragon in clouds, with a finial in the shape of a lotus pod enclosed in petals. The base is surrounded by a band of lappets. The vigorous dragon among clouds parallels the decoration on blue-and-white porcelain of the period. The David Vases are housed in the British Museum. 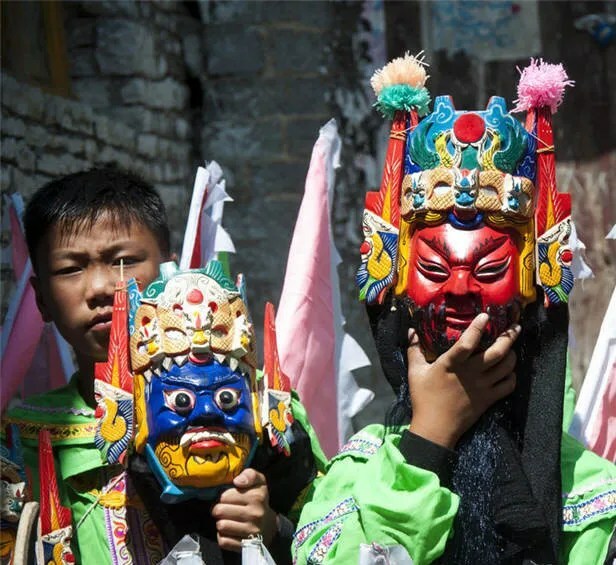 They were made for the altar of a Daoist temple and their importance lies in the dated inscriptions on one side of their necks, above the bands of dragons. This inscription demonstrates that blue-and-white porcelain production was already well-underway at Jingdezhen, the capital of porcelain in China, by 1351. Originally the vases, modeled after bronze pieces, had porcelain rings attached through the elephant head shaped handles. The Jade face is housed in the British Museum. This is a finely carved jade piece with the pattern of a human-like face with large tusk-shaped teeth. The face is finely carved with thread relief indicating distinct features. Its hair is represented by tiny scrolls and lines. A number of similar faces have been found in China, mainly from Neolithic times. They were a subject of great curiosity throughout early Chinese history: being collected in later periods, and copied, to some degree, by later carvers. One such face was uncovered in a tomb dated 1300 BC in Jiangxi province, southern China. Another was discovered in a Western Zhou tomb between the 10th and 9th century BC near Xi’an, in Shaanxi province, northern China. We do not know what these ornaments signified to the Neolithic peoples who made them, nor to those who chose to be buried with them in subsequent eras.